Let us tell you one thing you are really blessed, because not everyone are as lucky as you to have food on time. When we are praying to god for a new car, house, favorite bike etc, there are people who prays for proper food. 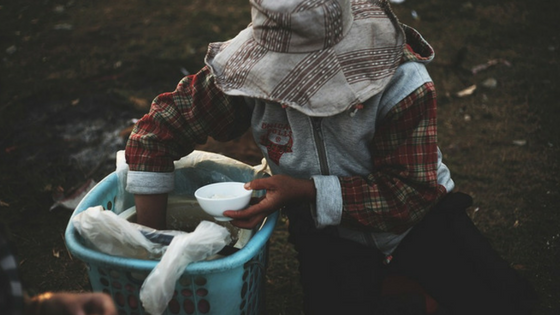 In this blog we will share few shocking facts and stats about hunger and why it is important to consider charities and donations to feed hungry people. Around 795 million people in the world doesn’t get enough food on daily basis. 1/9th of the total population of this globe starve to death. Malnutrition is the reason of about 45% of the total children deaths in Asian and African countries. Around 9 million people dies every year due to hunger. Double than people dying of HIV. More than 25 lakh Indians go to bed every day with eating. India has more hungry people than neighboring countries, as per recent stats. More than 35% of the children in India suffers from Malnutrition, as per Wikipedia. Not only children, even adult under-nutrition is very high in India. If you just type ‘Food Wastage in India’ you can find plenty of articles published. Business world in their article mentioned, “Indians waste as much food as the whole of United Kingdom consumes. In a nation like India where millions still sleep hungry on streets, it’s not a good statistic”. Yes, it is true and is a crying shame for all of us in India. We spend lakhs of rupees in arranging marriage ceremonies and its true that on an average, 25% of the food gets wasted and thrown in garbage. You might be thinking, what authorities are doing. We can’t blame government for everything. We shall ask ourselves, what we have done? We are someone who throws food in the dustbins, we are someone who spends huge amount on weddings but while donating, we become miser. This new year, let’s try not to waste any food and try our best to donate as much as possible. If this happens there won’t be anyone dying of hunger. If we all hold hands together and try, we can make this world a better place. Start donating for food for Old age people and children. Click to know more.